Annie Ropeik reports on state economy and business issues for all Indiana Public Broadcasting stations, from a home base of WBAA. She has lived and worked on either side of the country, but never in the middle of it. At NPR affiliate KUCB in Alaska's Aleutian Islands, she covered fish, oil and shipping and earned an Alaska Press Club Award for business reporting. She then moved 4,100 miles to report on chickens, chemicals and more for Delaware Public Media. She is originally from the D.C. suburb of Silver Spring, Maryland, but her mom is a Hoosier. Annie graduated from Boston University with a degree in classics and philosophy. She performs a mean car concert, boasts a worryingly encyclopedic knowledge of One Direction lyrics and enjoys the rule of threes. She is also a Hufflepuff. Carrier Got Cut A Deal, But Can Other Companies Expect The Same? 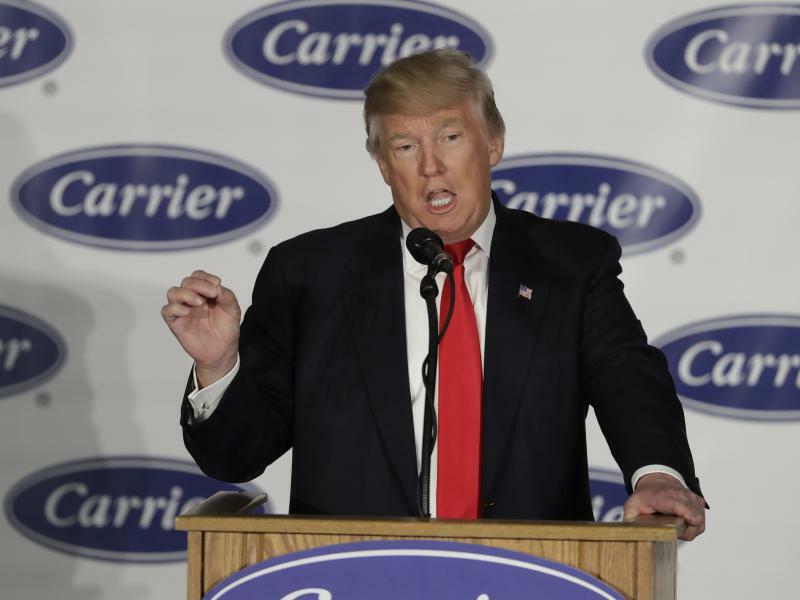 It's been a few weeks since President-elect Donald Trump celebrated the Carrier company's decision to keep some factory jobs in Indiana instead of moving them to Mexico. The deal hinged on $7 million in state tax credits — some of which came from a rarely used fund for job retention. And now it has manufacturers wondering what the deal might mean for them. Indiana doles out tens of millions of dollars in tax incentives to companies like Carrier every year — but usually those are for creating new jobs, not retaining existing ones.